Emojis often express emotions without word. You may use hearts, thumbs up or sad faces to show how you feel. 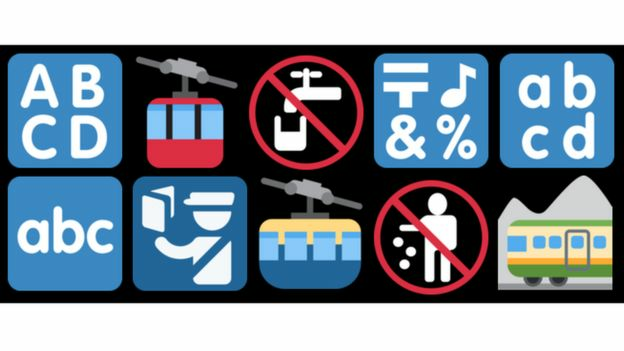 But others are more obscure – so you probably haven’t used « aerial tramway » or « non-potable water symbol » to express your innermost thoughts. A tool which tracks emoji use found those two have at various points been the least used on Twitter. But recently a new candidate emerged for the world’s loneliest emoji: « Input symbol for Latin capital letters ». Matthew Rothenberg’s Emoji Tracker processes every single tweet posted on the social network, in any language, and counts how often each emoji is used. The tracker has logged 23 billion tweets since he created it in July 2013. The most popular emoji, « face with tears of joy » (you may know it better as the « laughing/crying » emoji), has been posted over 2 billion times since then. « I was mostly curious to see how people used different emoji, » Rothenberg told the BBC. 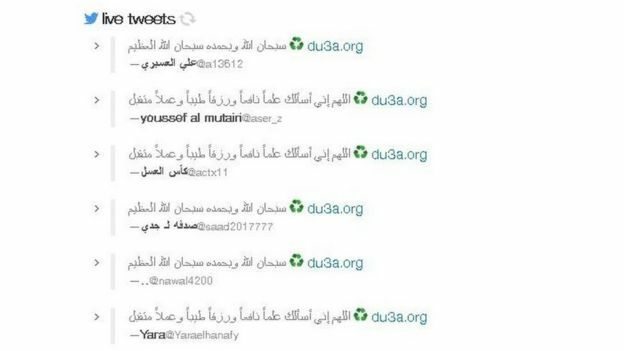 His research found this symbol is frequently used by apps and websites which automatically post Islamic prayers to Twitter, such as du3a.org. The symbol seems to be mostly encouraging people to share posts, rather than having anything to do with recycling. « It’s yet another example of how much variety there is in cultural use of technologies, as well a reminder to me how much may seem a mystery at first due to language barriers, » says Rothenberg. What about the least popular? Of course, in addition to the most popular emojis, the website also shows which ones are used least often. That question got wider attention when a Twitter account, « Least Used Emoji Bot », was set up to publicise which emoji was the least popular on a given day. For a long time the « aerial tramway » – a cable car symbol – held that dubious honour. But then an organised campaign began to dislodge « aerial tramway » from the bottom of the charts by posting the emoji repeatedly on Twitter. High profile accounts started joining in. Finally, by 22 July, enough people had posted « aerial tramway » enough times to lift it off the bottom of the charts. 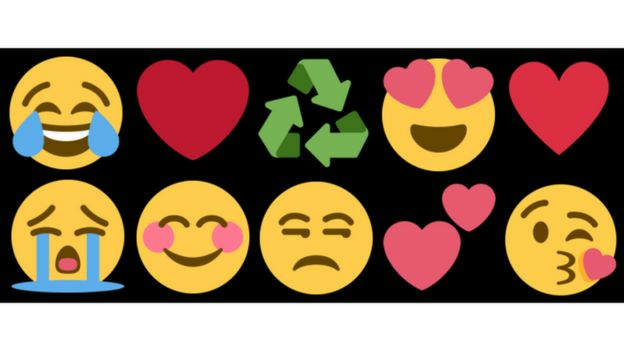 This data only tracks emoji use on Twitter – not Facebook, WhatsApp, iMessage, text messages, or the huge range of other apps where they can be used. Only Twitter has the sort of public interface which allows emoji use to be easily monitored, according to Rothenberg. 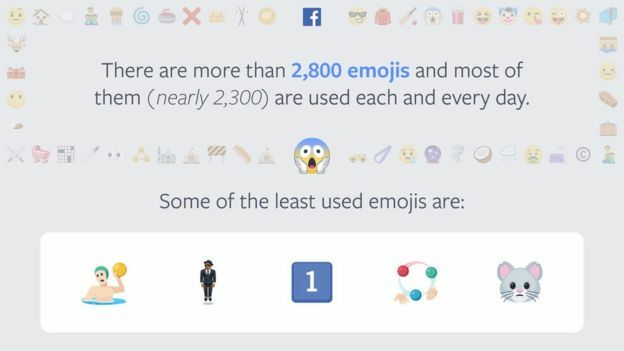 Facebook recently revealed the most and least used emojis from its internal data. 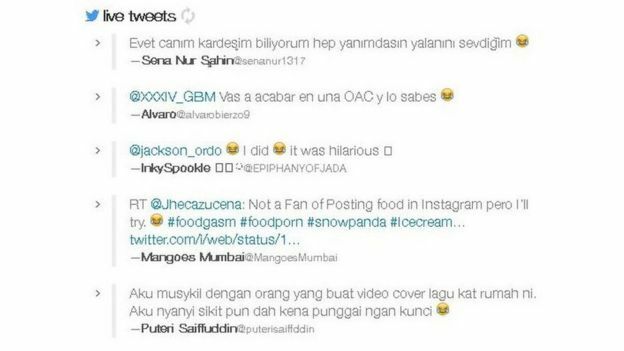 Many of the most popular were the same as on Twitter, like the « crying laughing » and the heart. The company also shared some data on some of the least popular emojis on its network. Article précédent Les technologies du futur (11/20) : Les robots avec des émotions !